Green is not only the colour of nature but also the colour of MET Rishikul Vidyalaya’s approach to life. 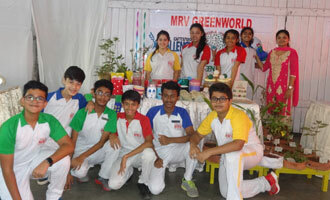 To sensitise the community and to bring to notice of all who care for planet earth, MRV organises ‘The Green Mela‘ annually. It was held on 21 October 2016, slightly prior to Diwali to facilitate convenient and eco friendly festive shopping.